American girl plays harp in mostly Scottish way with Scottish guy who plays dobro in mostly American way with Scottish guy who plays bass anyway. 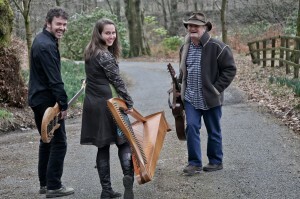 The North Atlantic Trio combines Scottish, old-time Appalachian and bluegrass music for a unique musical sensation of cross-genre bricolage. The pling of the harp mingles with the slide of the dobro (a guitar with built-in metal resonator) and all held together with a variety of basslines. With a unique sound defined by transforming a variety of cultures and musical genres into a sensational new concept, HOMEBOUND creates an intensely spellbinding musical experience. The bagpipe links this diverse potpourri of cultural variety. With its hypnotic drone, this ancient instrument is the link between medieval dance tunes, Indian ragas and Celtic music from the Highlands of Scotland through Ireland and Brittany. The harp flirts with the driving beats of the thavil, the cello converses with the tabla, the bagpipe contrasts with jazzy guitar chords. 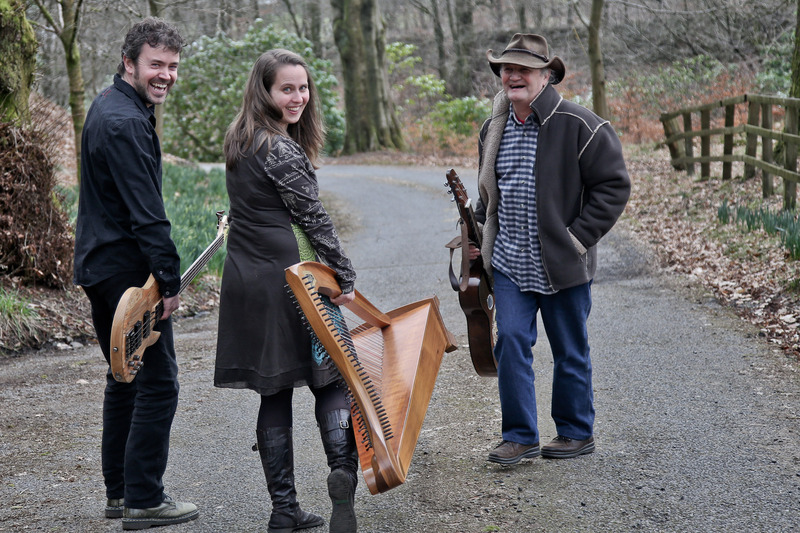 Combining traditional material from Celtic lands, Indian compositions and improvisations, medieval manuscripts and self-penned compositions, the band sound encompasses a vast range of dynamic tones and carefully arranged layers. The HOMEBOUND project is an exceptional chance to experience seven musicians embarking on an adventure to explore new shores of music, creating a fresh but still deeply rooted music. The varied backgrounds and strengths of each individual contribute to a unified whole that celebrates musical and cultural interaction. Since HOMEBOUND was founded in 2005 by Thomas Zöller, the band has performed throughout various parts of Europe, including reknown festivals such as Celtic Connections and Piping Live!. The band is currently working on their second album. The combination of Cheyenne Brown’s exuberant and sensitive harp playing, Seylan Baxter’s mellow, natural singing and her creatively atmospheric cello playing forms rich and varied musical textures with a distinctive style. Whether in slow airs, jigs and reels or traditional songs, Cheyenne and Seylan bring precision and empathy to their quirky, innovative arrangements. Their energetic performances and warm stage presence dispel any stereotypes of stuffy instrumentalists and prove the effectiveness of this unusual lineup. Since the release of their debut album 2:forty in autumn 2007, Cheyenne and Seylan have gone from strength to strength. They have performed extensively throughout Spain, Germany, Italy and Belgium, America, as well as throughout Scotland. 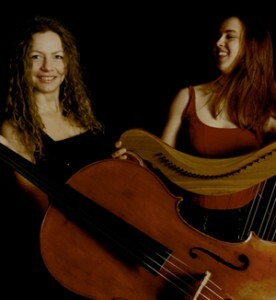 Cheyenne and Seylan also founded and co-organise the Scottish Harp and Cello Festival in Glasgow, which brings together workshops, classes and concerts concentrated on the harp and cello.